Last edited by Joe Moore; 12-18-2017 at 08:11 AM..
Astonishingly good looking set and photo gallery, Joe. These figures look fantastic...a rare instance where I think the retail versions actually look better then the initial prototype pics. The Endocop is soooo creepy-looking and the dog is great, too. That said, no bicep swivel on the Endocop is a huge bummer. NECA's original T-800 figure has it, and there's really no reason to leave it out here. Also lame that the arm pistons cause issues. NECA really needs to up their QC game. That Endocop is gangster. I may have to pick that up, just looks evil af. The pistons are a problem on the arms, yeah. Same problem I had on the regular T-800. Surprisingly, I never had the issue with the video game versions. 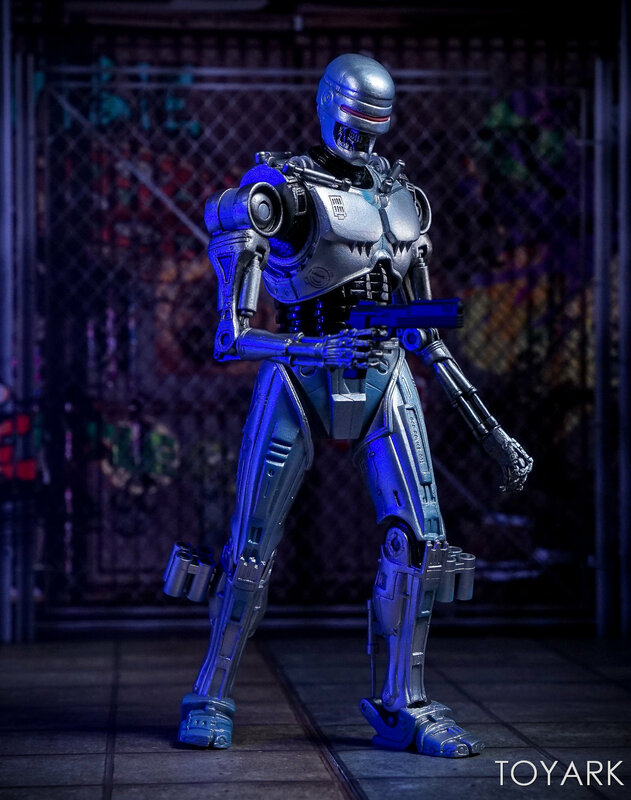 Oddly, they seem to have solved the problem with the weak ankle piston on Robocop. The ones here were far better than my regular Robocop, who I didn't use here because both leg pistons lost their pegs. The head sculpt is my favorite part. The red visor combined with the metal skull underneath is perfect. Really nice. Sculpts are so nice. 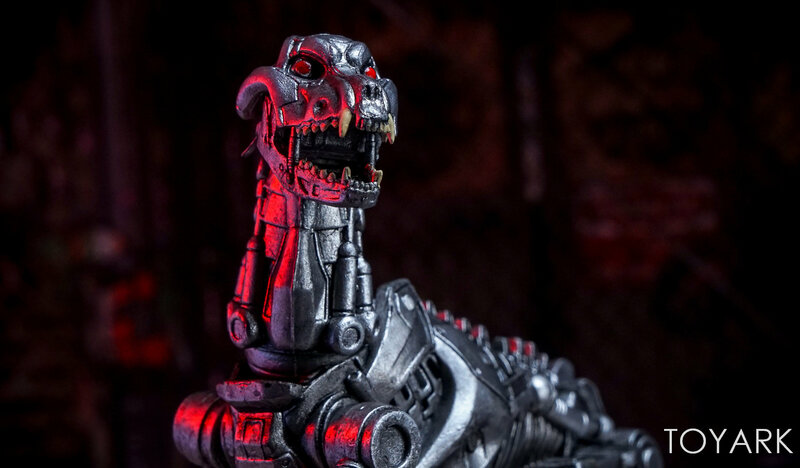 With NECA, because of the intricate sculpts, I am always worried about them falling and breaking, especially this pistons. I am in for 2 of these....I always get multiples of well done figures and this is no exception. Work hard, play hard I say. Joe, I really like your photos and use of the red and blue lights. You deserve more praise for the photo shoots. Sometimes I take your set up for granite, but they are always really well done, yet simple at the same time. Maybe I am drunk or because it is Christmas time, or both , but yeah, just great work as usual. Last edited by VashTS; 12-18-2017 at 09:24 AM.. If you can secure the small metal peg on the back of his arms, the pistons themselves will be ok. I added a drop of super glue (using a sewing needle) to the one still there, just to thicken the head of the peg. The other peg, I heard it bounce on the glass and then it was gone. I wasn't planning on getting this, because I really don't like Terminator. But…I had $15 worth of Toys R Us rewards to use by the 28th and the packaging was just so damned cool, that I picked it up. Haven't opened it yet, but I do agree that the final figure looks better than the pictures they released early on. 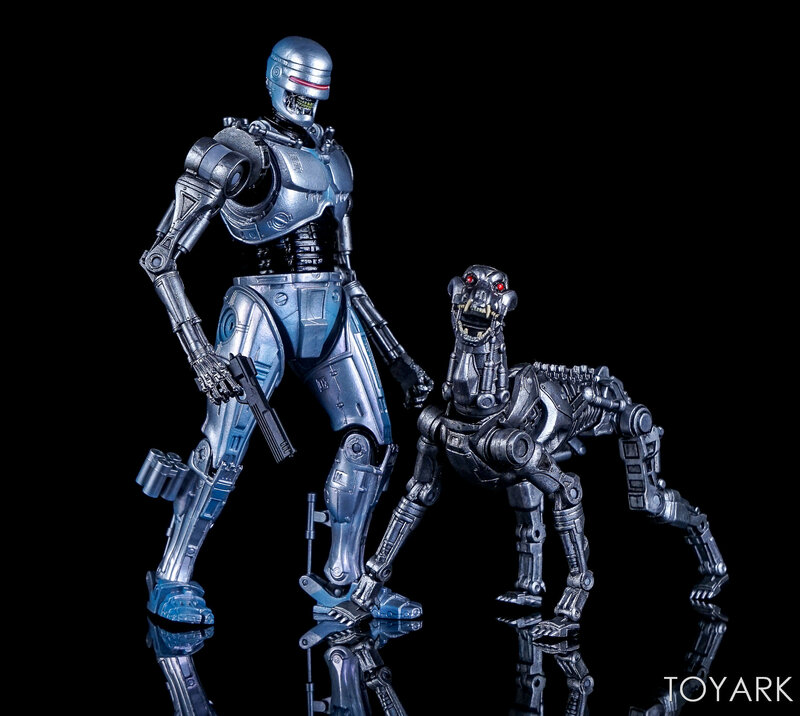 Sorry if this has been said before but is this supposed to be Robocop with Terminator parts or a Terminator with Robocop's parts? I've never read the story or played the game but it looks like Robocop's badass evil twin. I really appreciate the kind words. I'm always happy to hear others get some enjoyment out of the shoots. It makes taking the time to do the next one much easier. Thanks again! It's a mic of both. Robocop hides consciousness inside Skynet. When the time is right, he forces the factory to create a body as close to his original design as it can (will be the Ultimate Future Robocop). Later in the comic, he creates an army of these EndoCop's to help fight the Terminator's and attack Skynet. Well that's neat. I figured this one was like a T-800 upgraded with Robocop parts to kill Murphy or something. Kinda disappointed to hear about the lack of bicep rotation and the pin issue but this set still looks great. The photos you took really bring out the colors and detail, especially that face. Mmmm, me like! I'll get this set for sure. It's just too cool a design to not get. Now we just need to see the actual Robocop version. 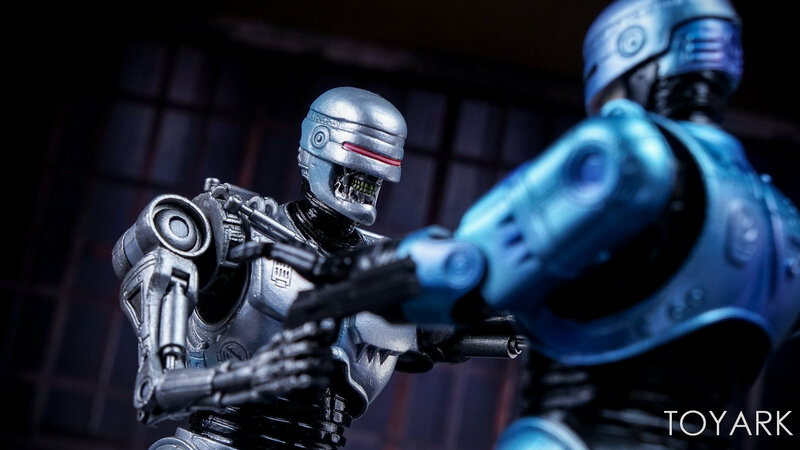 Imaginative crossover comic, very nice action figure making by NECA and great photo shoot Joe. Can't wait to see this set myself "with my own eyes" (in the voice of Vader).